The 2018 Hyundai TUCSON. Where style and utility meet. A luxurious interior with abundant space and amazing features like rear reclining seats that offer more legroom than the competition. More storage options. Fold down the split rear seats and you have room for a mountain bike. Tucson has received a top rating from the IIHS. Efficient, with an EPA rating up to 31MPG highway. 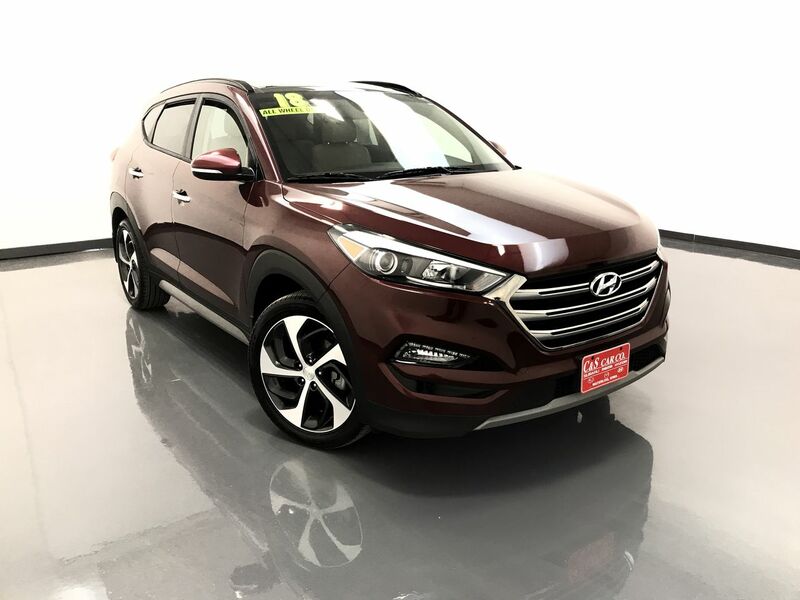 This Hyundai TUCSON 1.6T LIMITED AWD has a leather interior with 4 heated seats, cooled and power assisted front seats, keyless entry and ignition, dual climate controls, a heated steering wheel, a locking center differential, a panoramic sunroof, blind spot detection, a rear power lift-gate, a luggage compartment cover, and a back-up camera with sensors. The infotainment system has navigation, an AM/FM/CD sound system, XM satellite radio, and Bluetooth connectivity. The exterior is highlighted with 19" alloy wheels with Kumho tires. **One Owner** Call C & S Hyundai toll free at 866-212-8718 or locally at 319-291-7321.